Through the implementation of RCS, operators will have the opportunity to combat revenue stagnation while providing an enhanced communication experience for subscribers. 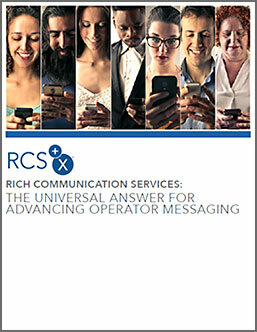 Rich Communications is the foundation required to evolve messaging as a platform (MaaP) to unlock new revenue streams through new innovative services. A new mobile messaging movement has started, don't get left behind.